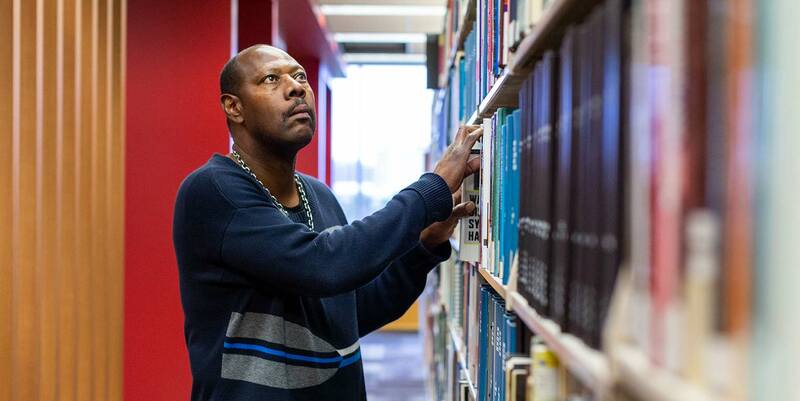 James Kendrick has been a fixture in IUPUI's University Library for more than 30 years, much longer than the library has been housed in the now-iconic campus building in the middle of the IUPUI campus. As the library's stacks manager, Kendrick has touched thousands of books its vast collection, which totals more than one million volumes. 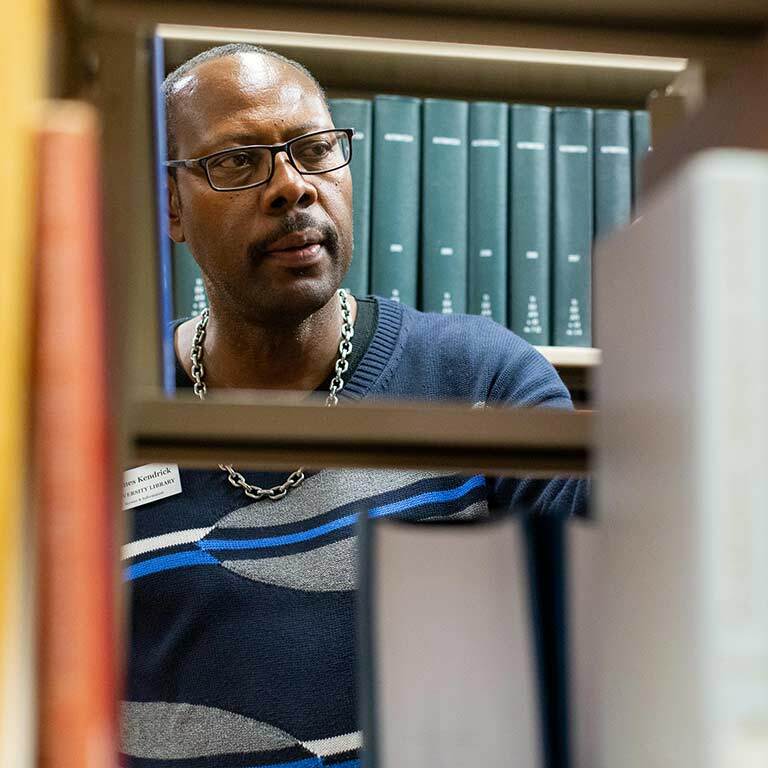 Over three decades, he has kept the library's collection orderly and accessible to generations of IUPUI students, faculty, and staff. 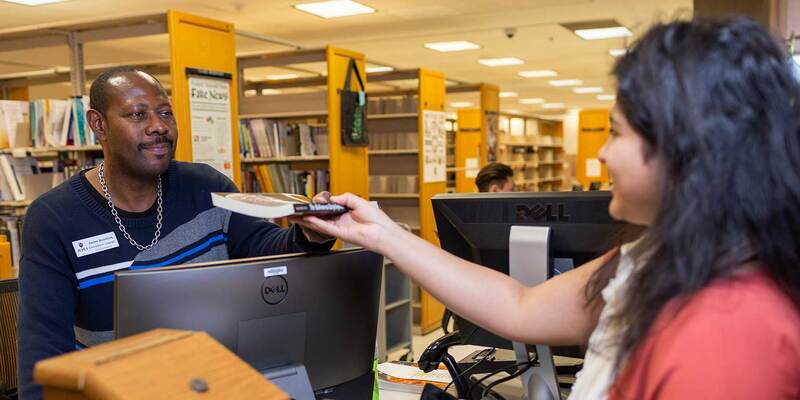 "James is a familiar face to many in the IUPUI community because he is outgoing, friendly, and always makes time to speak to everyone he sees," said John Cooper, Circulation and Security Team Supervisor at University Library. Kendrick was born and raised in Indianapolis, and he has seen waves of change not just at IUPUI but also around the city. The youngest of nine children, Kendrick attended a segregated elementary school on Indianapolis' east side before graduating from Arsenal Technical High School. A work study program in medical science first brought him to IUPUI in 1982. When he began his full-time career in the library in 1985, the campus consisted of far fewer buildings, and the library was housed in Taylor Hall. While a staff member, Kendrick was also a student and is now an alumnus. In 2004, he graduated from the IUPUI School of Science with a bachelor's degree in psychology. Kendrick earned a graduate certificate in nonprofit management in 2016, and he is now pursuing a Master of Public Administration degree, both from the School of Public and Environmental Affairs at IUPUI. He expects to receive his MPA in time to celebrate his 35th anniversary with the university, every year in the same department at University Library. 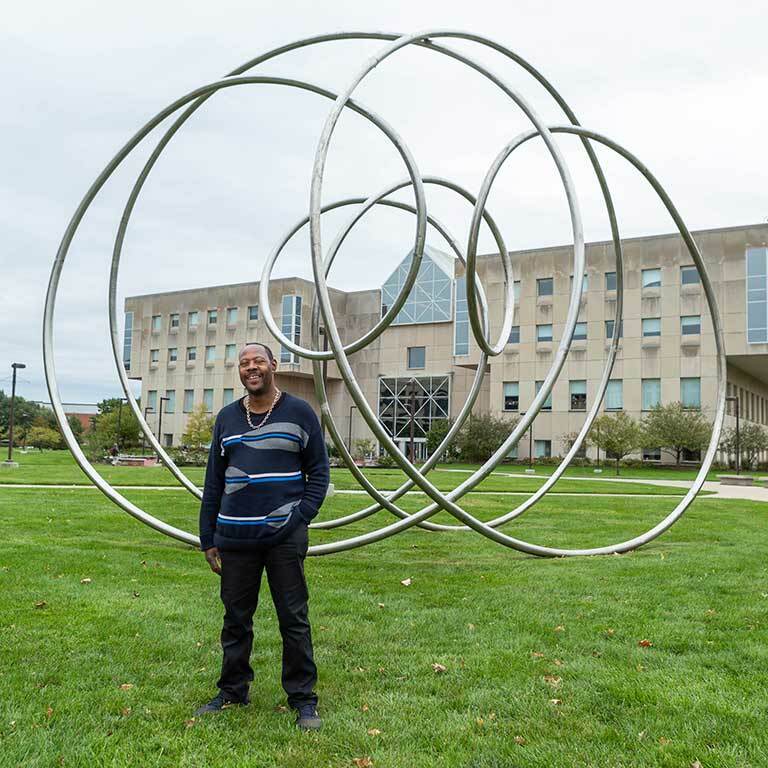 In addition to his integral role in the library as stacks manager, Kendrick is the library's United Way ambassador, as well as a unit ambassador for the IUPUI Campus Campaign. He is a volunteer for Team IUPUI, which helps ensure new and continuing students have a smooth enrollment experience at the start of each semester. "James reflects a love of service and of learning that he has expressed as a dedicated staff member, a lifelong learner, and an ambassador to University Library for IUPUI's United Way campaign," said Christine Fitzpatrick, campaign co-chair and chief of staff in the Chancellor's Office. "I am inspired by his commitment to making the most of his experiences at IUPUI."